You will recieve 30 neon confetti stars, simply peel and stick to create your own look. 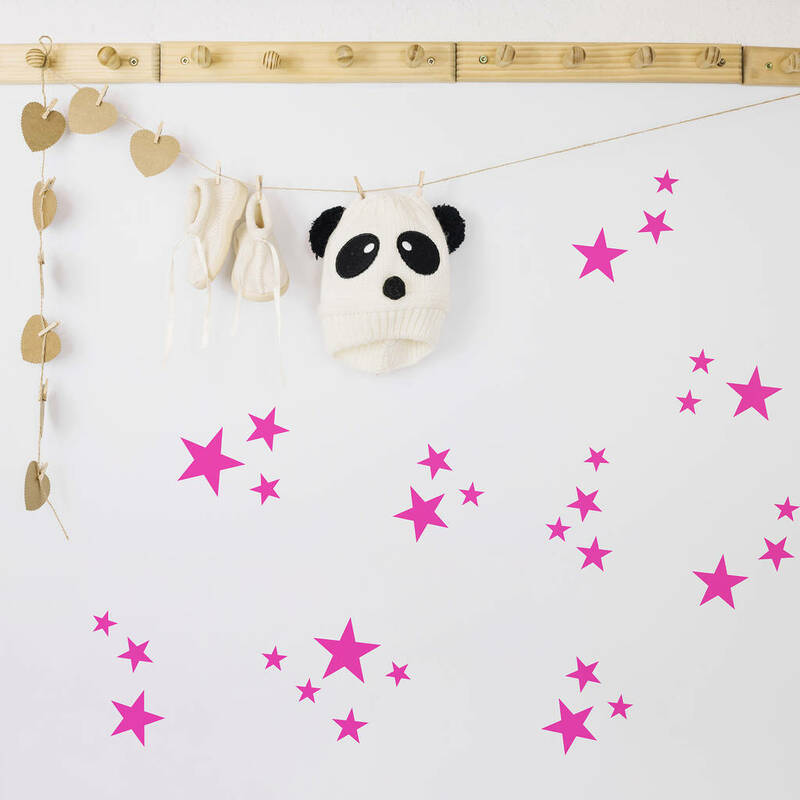 Wall stickers are a fun, stylish and cost-effective way to easily decorate your home. Quick and easy to apply, they can transform your home in a matter of minutes. Ideal for rented homes, offices and children’s room as they grow. Place this sticker in the lounge, bedroom, dining room, kitchen, hallway, study or bathroom. Wall stickers can be applied to any clean, smooth surface in your home. Apply these stickers to your walls, doors, furniture, mirrors or anything else that you’d like to decorate! All Nutmeg Studio’s wall sticker are made to order in our Buckinghamshire studio. This product is dispatched to you by Nutmeg Wall Stickers.